Here is your chance to get a beautiful one owner well maintained home in the prestigious Castle Ridge subdivision. As soon as you walk into the entryway through the front door you can tell the quality of this home. The home has an open floor plan with the entire back of the home being a large great room with kitchen dining and living room all together. The main floor also has a separate dining room, den & mud room with laundry hookups. The breakfast room leads out onto a nice deck with access to the large yard. The upstairs has a large master suite with separate tub & shower and walk in closet, 3 other bedrooms and a full bath. The walk-out basement has a family room with a beautiful wet bar & the 5th bedroom with walk in closet. The basement is plumbed for another bath. The home has dual HVAC systems & the upstairs air unit was replaced in 2018. This is a very clean well maintained home that has never had pets & has ever smoked in. 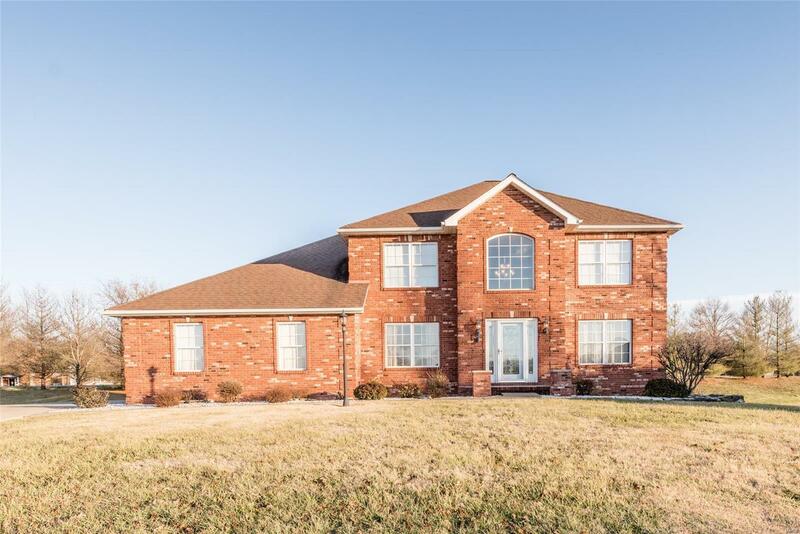 This home is conveniently located close to Scott AFB.